When was the last time you stopped and listened to the world, free and unmarred by the hubbub of human activity? If you did, you’d discover that silence isn’t ‘silent’ at all – rather it’s a multi-piece orchestra of talented players working in sonic harmony. 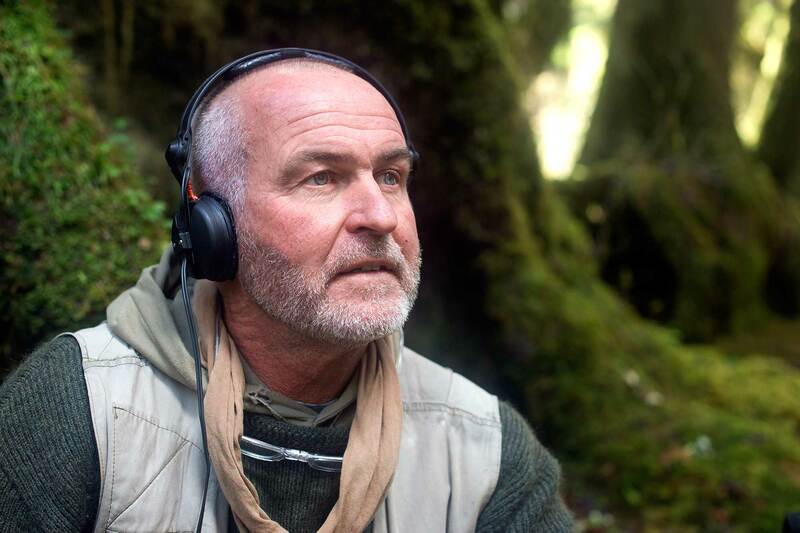 Celebrating the fragile auditory beauty of our rapidly dwindling noise pollution free spaces, Palmer Morse and Matt Mikkelsen follow internationally renowned nature sound recordist and acoustic ecologist Gordon Hempton as he contemplates his quest to preserve silence and the importance of listening to the natural world around us. DN invited Palmer and Matt to discuss the allure of documentary filmmaking and how they used rich cinematography and considered sound design to present what’s at stake in the extinction epidemic of the world’s quiet places. You’ve said that narrative filmmaking has held little interest for either of you. What then is it that drew you both to pursue documentary filmmaking? Palmer Morse: It really was this desire to marry my interest in the humanities with my love of film. When I was in film school, I had a difficult time sitting in on classes that were solely about the art of filmmaking and the technologies related to such. I was taking classes outside of the school in sociology, anthropology, culture and communication, and when I had my first course in documentary it clicked. I would say making documentary film is my form of social engagement with the world and I look for opportunities to work with people and places that are experiencing a serious environmental, social, or cultural issue that needs attention brought to it. My hope is that through the moving image, I can work with others to investigate and bring positive change. I was forced to think about how sound can be used to tell a story, and I’m incredibly grateful for that. Matt Mikkelsen: I’ve always thought that documentary film was the most powerful medium of storytelling, however, I never really thought of becoming a documentary filmmaker. I’ve always been an audio engineer, but upon meeting Gordon, and getting to know him and his life’s work, I felt that I needed to tell his story. When we first screened Being Hear and people liked it, I was almost kind of shocked. It wasn’t until recently that I’ve actually started to call myself a documentarian because it just sort of happened. For me, environmental conservation is my passion, and environmental films are my way of contributing to the effort to realize the human impact on the planet. 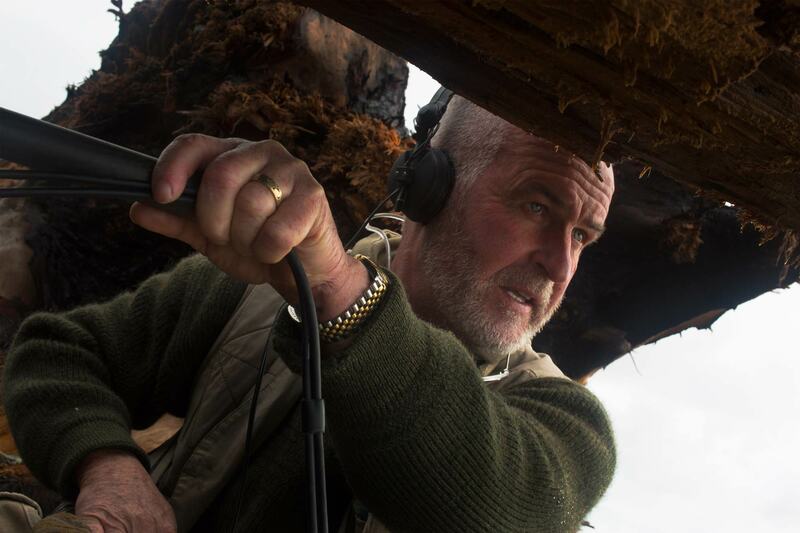 How did you first become aware of Gordon’s acoustic ecology work and what led to your working with him for this film? MM: While studying audio production in school, I realized that I didn’t want to spend the rest of my life sitting in a dark studio, and I wanted to spend more time outside. I heard about Gordon and sent him an email just saying, “Hey, what you do sounds awesome, I’d love to hear more about it!” After a long phone call, he invited me out to the Olympic Peninsula to study with him for a few days that coming summer. My life changed significantly in those few days, and I realized a passion for something that I didn’t know existed. Standing in the Hoh River Valley, listening to the sound of the river bounce off the mountains, I realized how important listening was, and how we often ignore all of this auditory information. It was like a lightbulb for me. 3 years later, I asked Gordon if I could make a short film about him, and he graciously agreed. Palmer then came on board and took this idea that I had to a completely new level. Without him, Being Hear would cease to exist. Gordon and I have become great friends over the years, and I’m lucky to be able to say that we work together on multiple projects, and I serve on the board of his non-profit organization One Square Inch. Clearly he’s extremely dedicated and passionate about the preservation of natural silence, yet Being Hear avoids the preachy tone which many activist pieces take. How did you work with Gordon to shape the content and tone of his monologue? PM & MM: It’s funny, a lot of people think that Gordon’s narration throughout the film was scripted when in reality it wasn’t at all. It was completely off the cuff and that’s just genuinely how he thinks and interacts with the world. 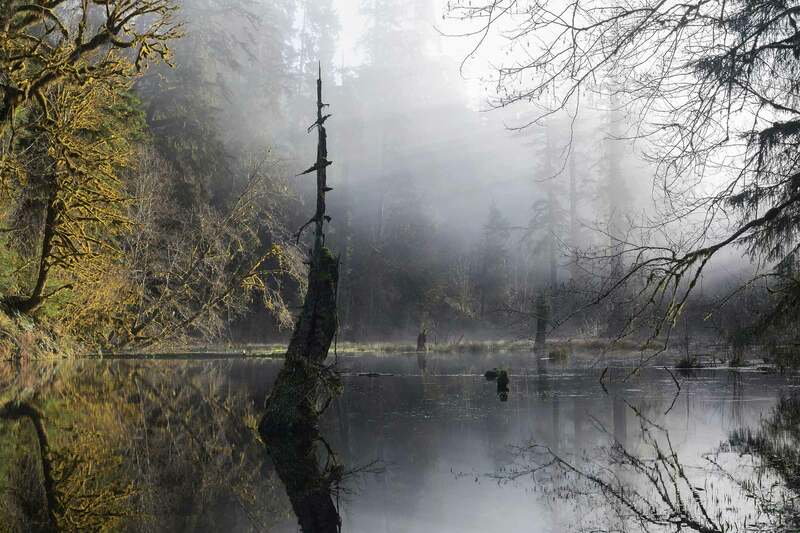 Our goal with this film was not to make the mistake of telling a viewer about the pristine qualities and acoustically diverse environments in Olympic National Park, but rather to immerse them in it using primarily sound accompanied by appropriate visuals. Our first day on location with Gordon, we sat down for lunch and asked him how he envisioned this project. He said one word, “Spacious”. That was our mantra for the next 5 days of production. We just kept saying to ourselves “Spacious”. There’s been a lot of media that has been made about Gordon, as he’s an Emmy Award winning expert in a relatively new field. He has mentioned to us that he was fairly dissatisfied with the work that had come out about his work, besides a few exceptions, so we made it our goal to work with him to tell not only his own story but his overarching message. What was it about the Olympic National Park that made it the ideal shooting location? Were there any logistical difficulties with filming there? 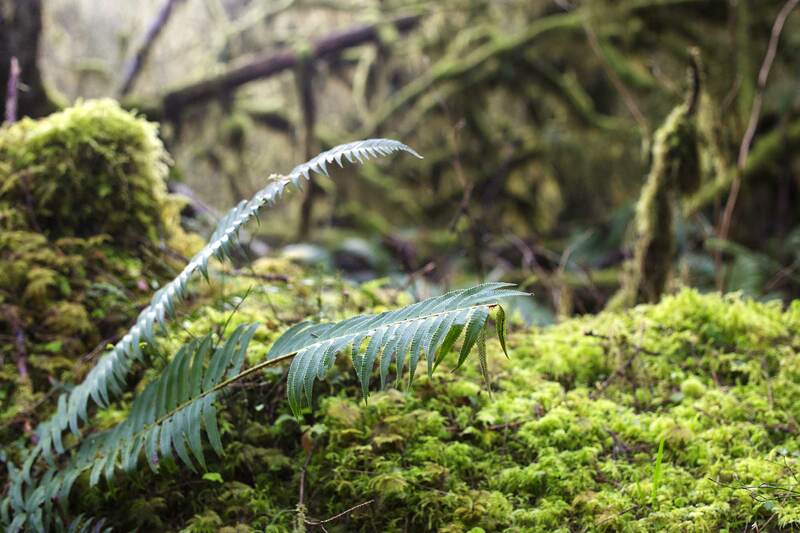 PM & MM: Olympic National Park has an incredible diversity of ecosystems containing one of the largest continuous coniferous forests and only rainforests in the lower forty-eight. As a result, this area is incredibly rich in natural soundscapes and is an ideal working location for Gordon. He actually lives just outside the border of the National Park. Filming in ONP was a ton of fun and we were there for nearly five days. We explored wilderness beaches, rainforests, high elevation mountain areas, all in an attempt to exemplify and capture the variety of spaces and sounds that it offers. We’re a two-person team, so it was a bit tough lugging all of our gear deep into the wilderness but it was certainly a learning experience that we’ll both never forget. When it came to the edit you began by laying down the visuals as opposed to the soundtrack. Could you explain why you took that approach and how you built up the project from there? PM & MM: Making a film about sound is undoubtedly a very difficult task to accomplish. We had a lot of different ideas about how to bring the sound in the film a heightened importance but nothing really came into fruition until Gordon generously offered us to utilize his own sound library for the film. It was then that we made the decision to actually use his sound as a centerpiece of the film seeing as it was about him, and the best way to do that was to actually edit the visual without any nat sound at all, only his dialogue, and then sound design it from scratch thereafter. It was really strange to cut together a film with no sound and depending on visuals at first to drive the story as a backbone. We felt this was a way to give sound priority and underlines its importance as a crucial aspect of the film. It was really strange to cut together a film with no sound and depending on visuals at first to drive the story as a backbone. But that made it all the more incredible to finally lay some soundtracks in using Gordon’s amazing work. One thing we strived for throughout the piece was to use sounds that were ecologically accurate for the visual environment and time of year. Has working with someone so dedicated the purity of sound had an affect on your auditory outlook – be that from a filmmaking or personal perspective? PM: As primarily a cinematographer, I am generally a very visual person. I had to put that all on the back burner for this film, and that was certainly a challenge for me. I was forced to think about how sound can be used to tell a story, and I’m incredibly grateful for that. In my opinion, sound is often neglected both on set and in post-production, and I’ll take this experience with me on every production. In my personal life, I’d say working with Gordon and hearing his thoughts on listening and the need to preserve quickly disappearing quiet spaces has made me more aware of how to appreciate nature, and also how unwanted noise can taint my ability to do so. I think there’s a tendency to treat nature as though it is something to be conquered. In reality, I think there’s a lot that nature can give not only to our eyes but also our ears, the fact is, unfortunately, a lot of places to do so without intrusion are disappearing. PM & MM: At the moment we live on opposite coasts of the United States but still work closely every day. Palmer is currently the Video Producer at the Oakland Museum of California, working across the institution to create multimedia content that represents its mission and key values. Matt works at a production company in Ithaca but also runs his own audio studio, Hayloft Audio, and does freelance sound recording and design. Ultimately we both still work hard at producing documentaries. Promoting, screening, and distributing Being Hear has really become a full-time job along with everything else that we do daily. We’re happy to see some new projects rolling our way, at the moment we can’t disclose too much information but we can say we’ll be starting a new film stemming off from Being Hear very soon. You can keep up to date on our website and Facebook page for more information. You can watch the full version of Being Hear online as part of the National Geographic’s Short Film Showcase.